Yorkshire Wildlife Trust’s mission to secure a Living Landscapes, Living Seas where Nature Matters is delivered through every stand of our work. Our ambitions are high and we must do what we can to reverse the decline of wildlife in Yorkshire for the generations to come. Much of our work is delivered through are dedicated and skilled volunteers, who are some of our most knowledgeable people locally. We’re looking for an individual that is an organised coordinator, who’s great at communicating and has an eye for detail that can coordinate the team of surveyors, deal with associated admin of the project and liaise with the Butterfly Conservation Trust to deliver an event once a year. Each year, Yorkshire Wildlife Trust carries out transect surveys of butterflies on many of its nature reserves. The information is gathered by a team of volunteer surveyors and the results are used to inform our reserve management plans and is also passed to the UK Butterfly Conservation Trust as part of their nationwide monitoring effort. Would you like to use existing project management skills, or learn how to manage a multi layered project? Then we would like to hear from you! 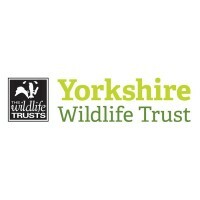 This is an exciting opportunity and one that’s invaluable to the Trust, which will coordinate a monitoring project that is making a real difference to Yorkshire’s wildlife and contributing to a national programme. If you would like to apply for this role, please visit the opportunity page here and download an application form. Alternatively you can request a form by emailing volunteering@ywt.org.uk or calling 01904 659570.